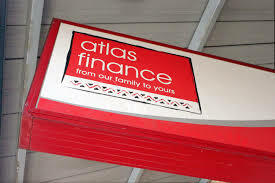 Atlas Finance, a South African micro-lending company providing secure loans of up to R8000 to South Africans, has busted loan boundaries by approving loan applications to its clientele in 60 minutes or less in comparison to some creditors who take more than two weeks to approve instant cash loans. This financial institution only gives loans to individuals who can afford to repay them. To ensure a smooth relationship with the creditor, a client should be responsible with his borrowing. Atlas finance is registered with the National Credit Regulator hence the company takes its responsibility in lending seriously. “We do three in depth credit checks,” says Atlas Finance, a small business with over 170 branches. The credit conducts an electronic scorecard check Based on information from all the credit bureaus. Documents such as the client’s payslip, bank statement are analysed; this helps the creditor to determine the amount of cash to allocate a particular client. Information from credit bureaus is also used to confirm a client’s income and expenses. A face to face interview is done to determine the reason for applying a loan and to make the client be aware of all the terms of the loan. HOW MUCH DOES IT COST TO REPAY AN ATLAS FINANCE LOAN? Being a proud member of Micro-Finance South Africa (MFSA), Atlas Finance’s cost of credit is prescribed by the National Credit Regulator. The interest is calculated at 5% per/month for short term loans of up to R8000. One important fact a lender should take note of when borrowing from Atlas Finance is that, interest and fees are calculated upfront enabling the lender to know how much he needs to pay back per month. Atlas Finance was established in 1994 by Jack Halfon, an entrepreneur, avid photographer, who has for the past 20 years shaped his business into a model of ethics and responsibility in the microfinance sector. “We believe in constant growth and expansion without compromising the quality and ethical service our clients have come to expect,” reads the Atlas Finance website whose company has so for the past 20 years provided over 2 million loans to clients nationwide.